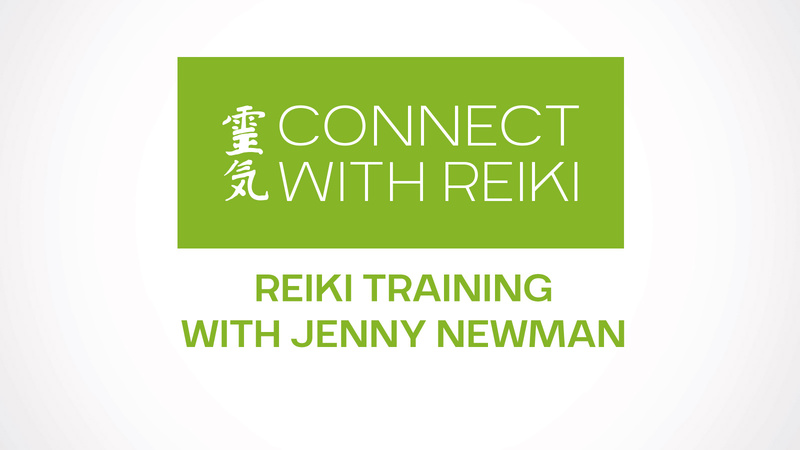 Connect with Reiki | Reiki courses and treatments with Jenny Newman in Corsham, Wiltshire. "The calm within the storm is where peace lives and breathes. It is not within perfect circumstances or a charmed life, it is not conditional. Peace is a sacred space within, it is the temple of our internal landscape. of everyday living, peace is patiently awaiting our discovery... go within." "The present moment is the only moment available to us and it is the door to all moments." "You don’t have to say anything. bridges by opening your heart and mind." The sun and the moon rise then set. The bright clear day is followed by the deep dark night. From hour to hour everything changes." 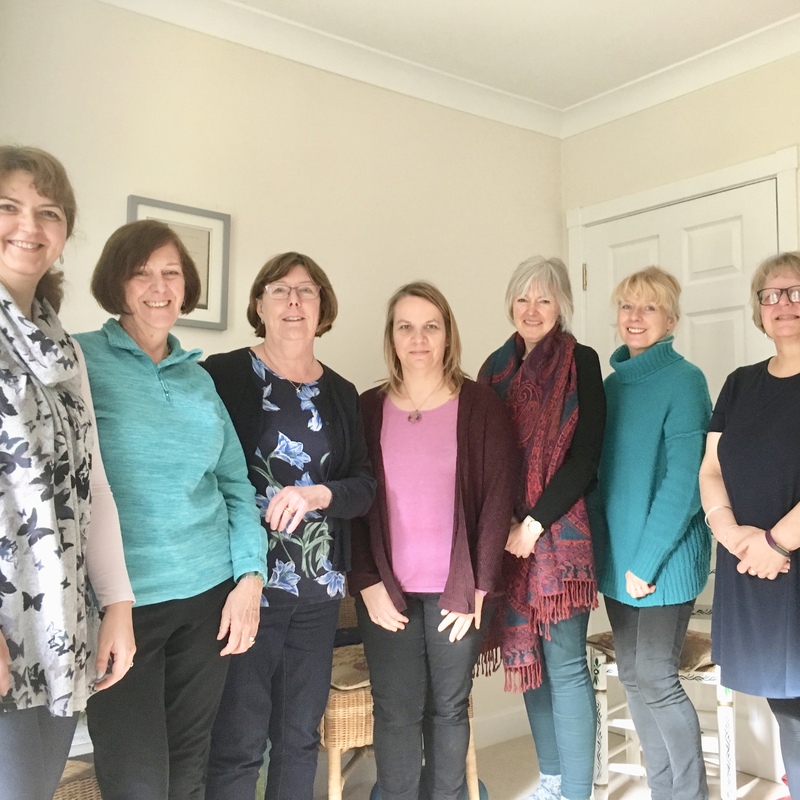 Book a course and experience Jenny’s high quality graduation program including ‘one to one’ training, and practice groups in Corsham, Wiltshire. Shoden is a Japanese word meaning ‘The Entrance’ or ‘The beginning’. 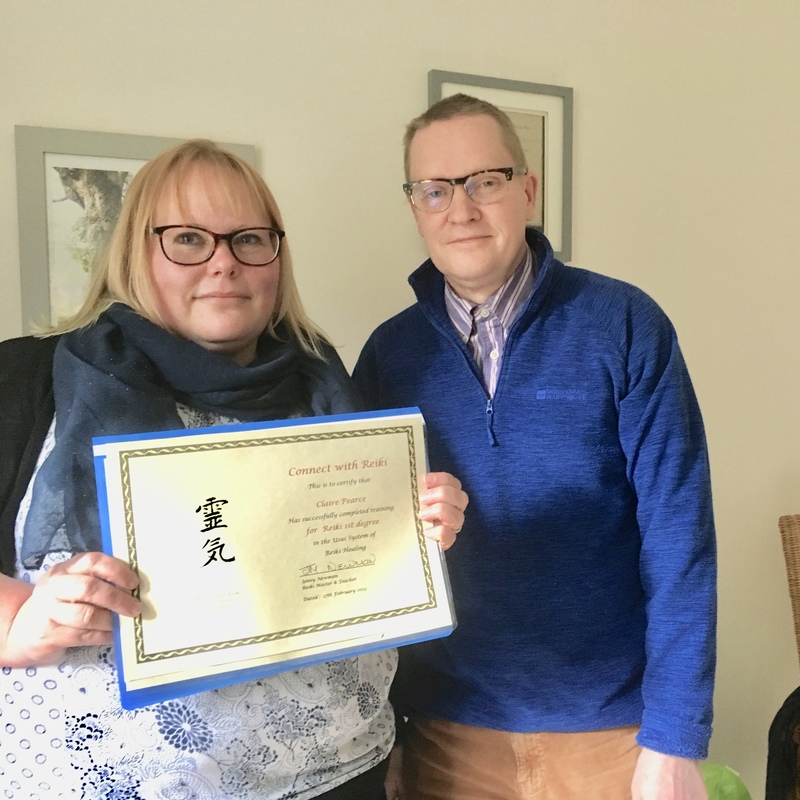 It is the first Reiki Level in the traditional Japanese branch of Reiki, called Usui Reiki Ryoho, which translates to Usui Spiritual Energy Healing Method. Energy is a word very few people can understand or explain, to find the answer it needs to be experienced, understanding Reiki will follow this experience. Meditation and Mindfullness is a big part of the system of Reiki as Reiki is meditation. BOOK A REIKI COURSE to fully understand this amazing system. Please click the video player above to watch Jenny explaining more about her courses. 15th/16th/17th June, 10.00am – 4.00pm on all three days. 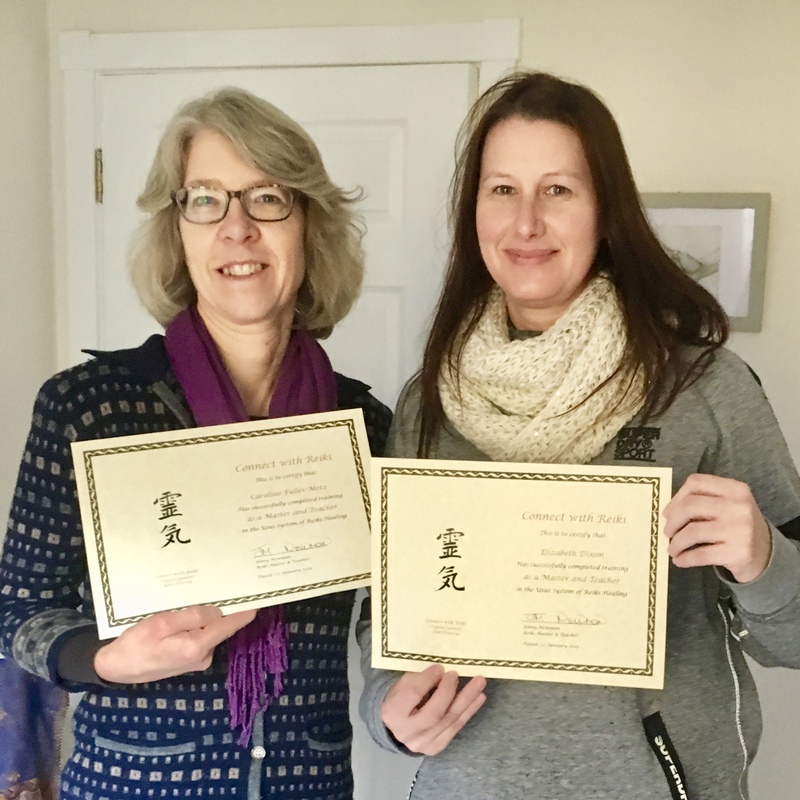 This Reiki Course THIS HALF PRICE! Two happy people, now professionally trained. 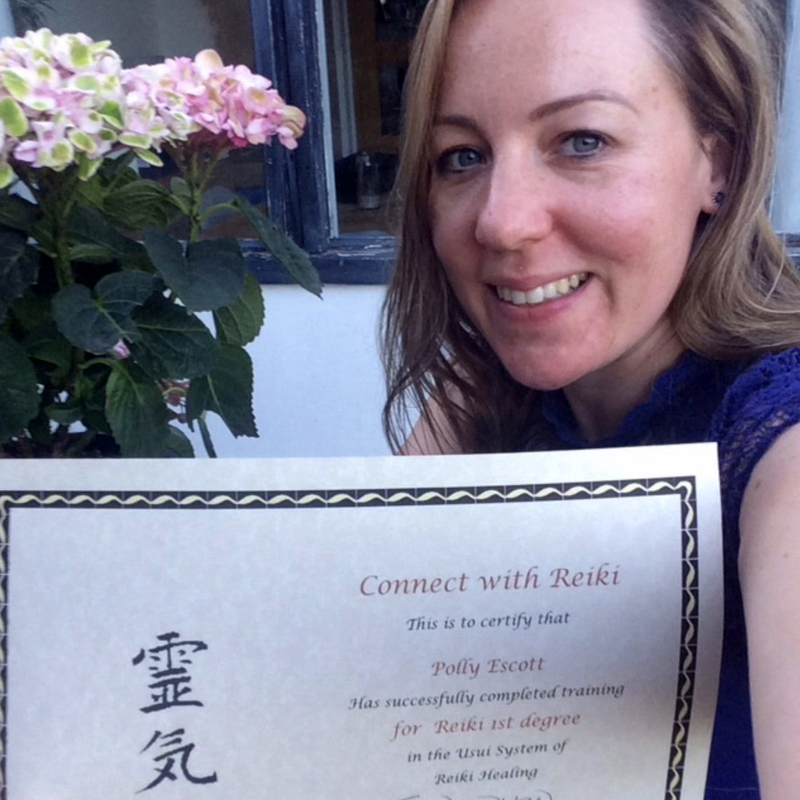 Well done Polly, enjoy the start of your Reiki journey! Follow your heart Claire and Paul, enjoy this new beginning…. Meditation and Mindfulness Workshop. Happy people enjoying the day. A Reiki treatment lasts an hour, with plenty of time to chat after the treatment, to discuss any issues you might have. Reiki Treatments are for you, this is your time to relax, de-stress and to re-balance. So often in our busy lives we don’t give ourselves time to live in the moment and feel connection. A Reiki Treatment will put you into the right place for relaxation, the energy will flow within yourself, your body and your mind. Reiki sessions are recommended at weekly intervals for maximum results, however one treatment will also benefit you. The cost of a Reiki Treatment is £40.00. You will be here for approximately and hour and a half/two hours. Reiki is a spiritual discipline, which means when sharing a Reiki treatment, we go inwards. This one mind that is within you and me is not inside, outside, or in the middle. And at the same time it is inside, outside, and in the middle. Like the stillness of empty space, it pervades everywhere. At this level the student begins to understand the inner journey of self discovery, and personal development. The Shoden teachings bring into practice a direct experience of this energetic system. The combination of these teachings creates the Usui Reiki Ryoho lineage. It is the entire teachings that are being handed down. Okuden Level 11 is known as Japanese hidden or inner teachings. Okuden teaches the student three mantras and three symbols enabling a strong focus on the energy. At this level you will discover your inner qualities such as Earth, Heaven and Heart energy. The student has the opportunity to develop a professional treatment practice from these teachings. Shinpiden Level 111, Japanese Mystery Teachings: Shinpiden focuses on personal development and mental focus. At this level you will move into discovering more about the mysteries of life and how you relate to yourself and the Universe. These teachings will be with you for the rest of your life either as a personal practice or a professional teaching practice.